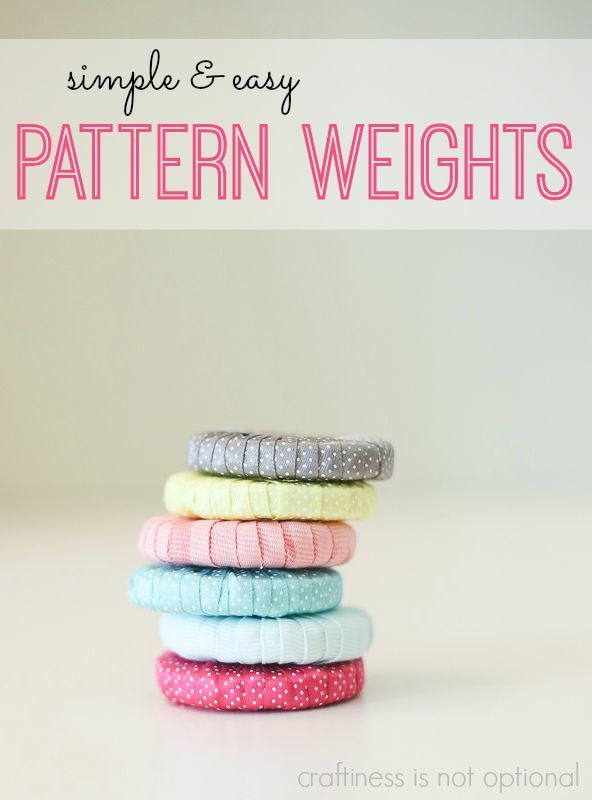 I saw this great little tutorial the other day on Pinterest from Jess of Craftiness is not Optional for some cute pattern weights. I have some big hefty pattern weights that I bought a few years back from a bookbinder. They do the job, but are not very pretty and to be honest, they are actually a little bit too heavy at times and can tear the paper patterns. 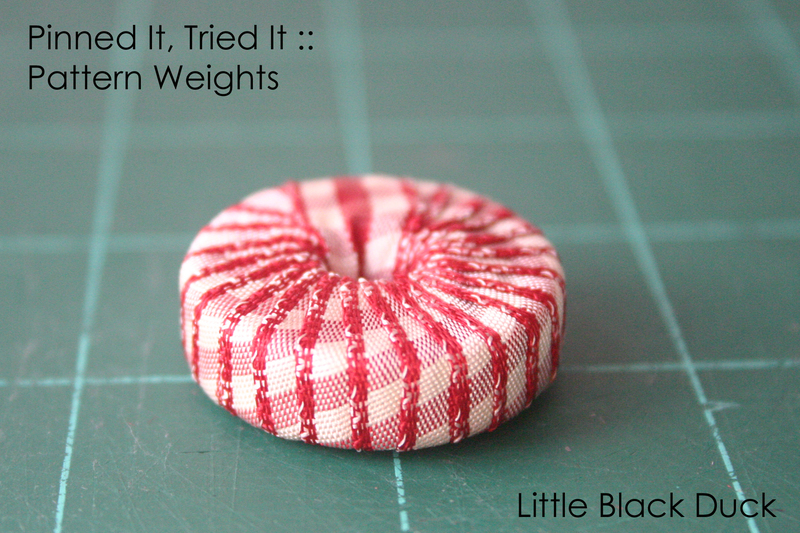 So when I saw this tutorial, I thought I would give it a go, as who wouldn’t want pretty pattern weights, right? Finding the right washers wasn’t that easy. I really wanted some washers the same as Jess used, but most of the large washers I found here in the UK only had a tiny hole in the middle. I eventually found some washers with a (not quite so tiny) hole in the middle and bought myself a packet of 10. When I got home I fished out some narrow ribbon and a tube of superglue and I was away! As the washers were a little on the small side I decided to stack several washers on top of each other to make them a bit more hefty. They took no time at all and I’m so pleased with my new pattern weights. Think I might just continue my search for extra large washers so I can make some more! 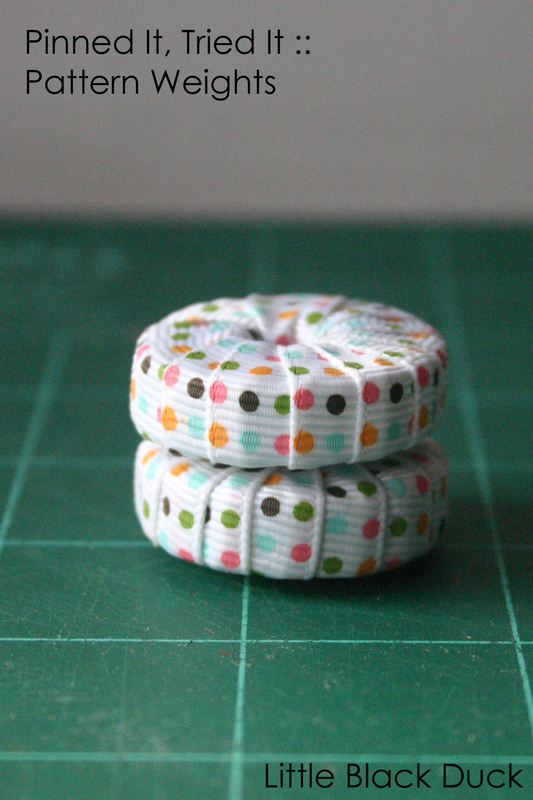 Pop on over to Craftiness is not Optional to check out the tutorial and make your own…how can you resist, we all need pretty pattern weights!